GreenWorks provided services for the Portland Trail Blazers’ Moda Center Exterior project. The project will beautify the Center’s landscaping with native and drought-resistant plants, provide waterproofing, and replenish the grounds with healthier soils and stormwater facilities in order to reduce the site’s landscaping water use by 20-30% among other progressive initiatives. 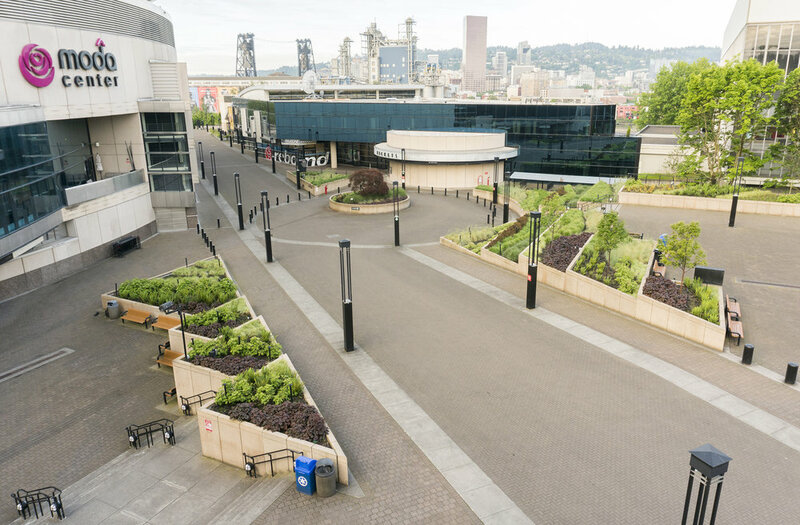 This work represents the first phase of sustainable improvements around the arena and will further the Trail Blazers’ efforts for sustainability in keeping with their ideals.